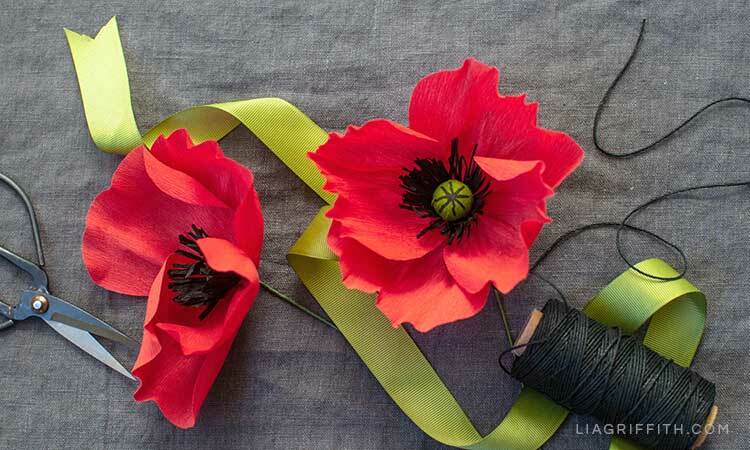 Poppies are such a great flower to make from crepe paper. There is something about the delicate petals that translate so well with our extra fine crepe paper. 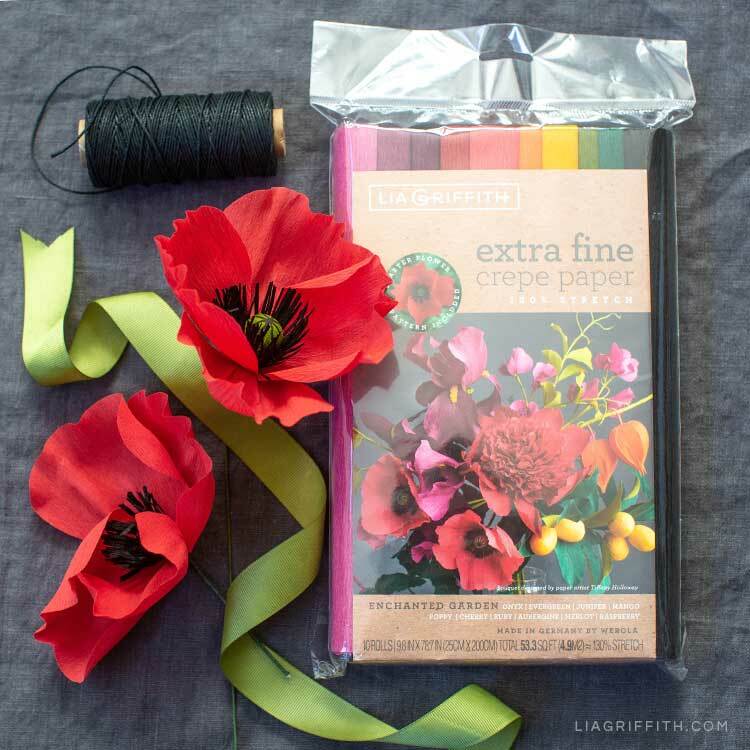 For this crepe paper poppy, we used three colors from our extra fine Enchanted Garden collection. You can use the cherry, onyx, and juniper as we did for this project or add orange and yellow poppies into your bouquet with the other colors in this collection. The starter pattern for this extra fine crepe paper poppy is included in the Enchanted Garden collection. Or if you’re a member, you can download the pattern below. 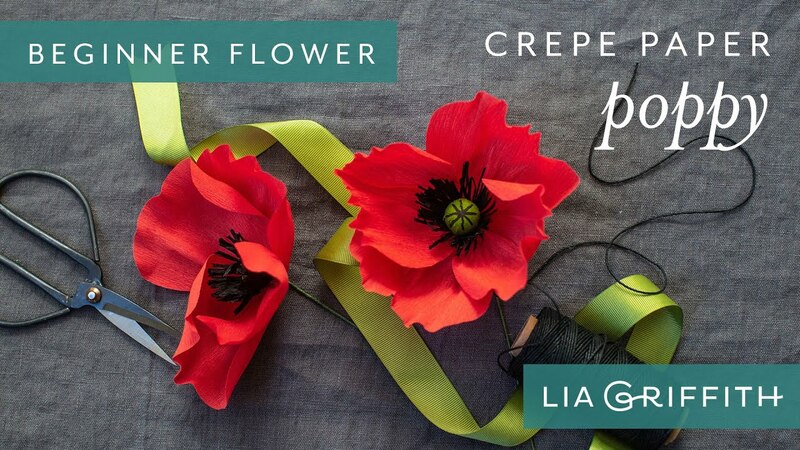 If you’re a member and you have a stash of extra fine crepe on hand, simply download the poppy pattern below to get started. This is a great flower to start your crepe paper flower journey with as it is simple to make with only four petals. If you purchase the Enchanted Garden collection, you will find ten deep, rich colors to create a lush bouquet of flowers, perfect for many different types of blooms. While I love using my cutting machine for many projects, the pattern for this extra fine crepe paper poppy is simple enough to cut with your scissors. If you do have a Cricut Maker, you can use it to cut your crepe with the rotary blade! Simply download the SVG cut file below and use the crepe paper setting on the Maker. 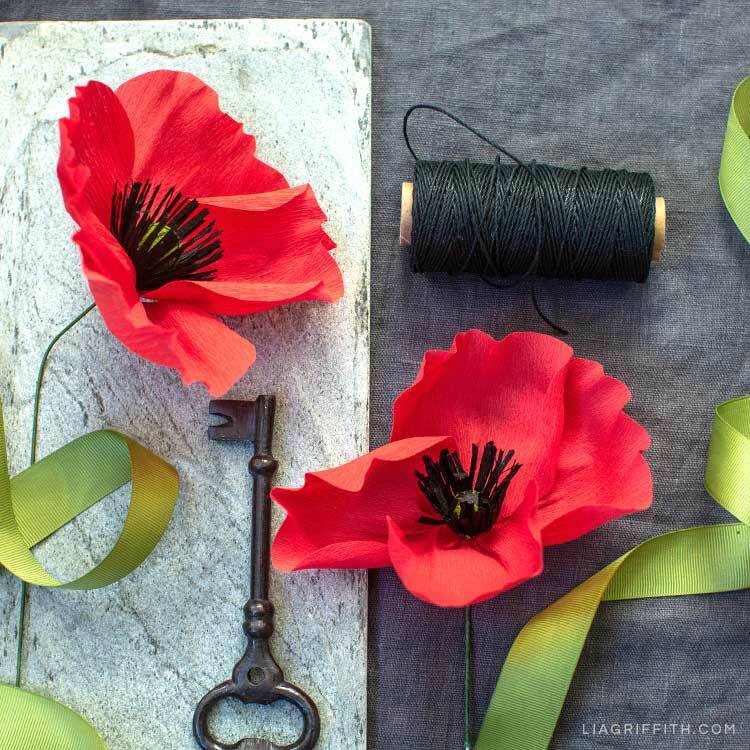 When you’re ready to make your crepe paper poppy flowers, gather the tools and materials listed here. Members can download the pattern below. Or you can use the pattern included in your Enchanted Garden collection pack. Once you have everything in front of you, watch our video tutorial below—or watch it now to get inspired!